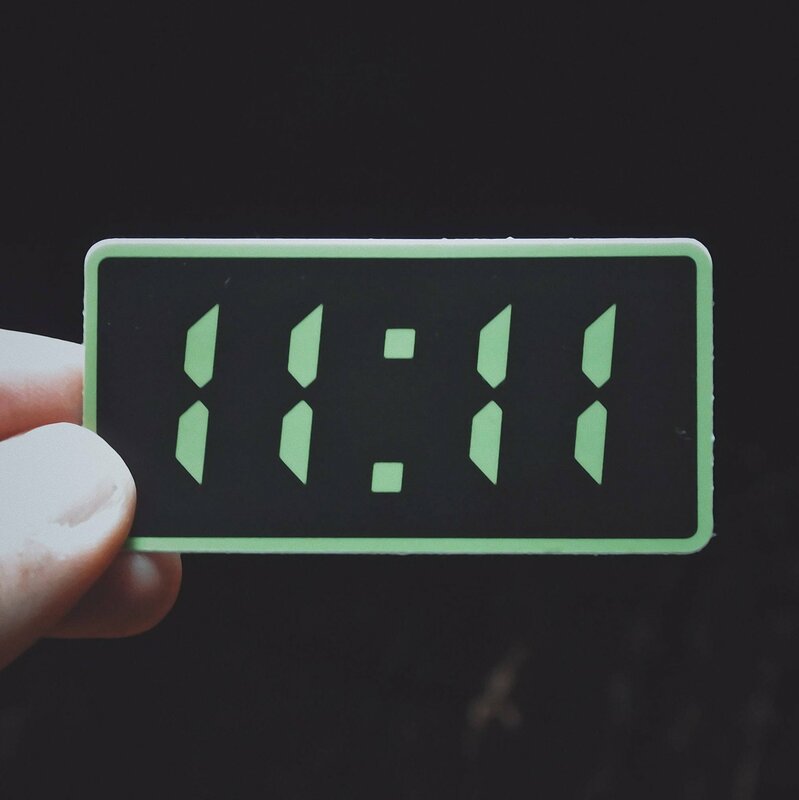 The official sticker for those who see 11:11 everywhere. This synchronicity is not just a coincidence. What does 11:11 mean? Some of you know this as simply a sign to "make a wish" but for others it holds much more significance. Seeing 11:11 on the clock all the time is a sign of awakening and a confirmation of your alignment with your life purpose. And that everything in life is happening as it should. • Measures 2.87" x 1.44"
"From an esoteric standpoint, 11:11 appears to be something that is genetically coded within our “junk” DNA as a cue to spiritually awaken. The first thing you should pay attention to when you see a synchronistic number is what you’re either doing or thinking at that particular moment. You should also be cognizant of your surroundings, such as the song that you’re currently listening to or even something as simple as the rays of sunshine coming in through your window. 11:11 is the doorway between two worlds – between the 3rd dimensional and the 5th dimensional worlds. According to George Barnard, 11:11 is “the calling card for beings that are half angels and half humans."